It was the best of times it was the worst of times... 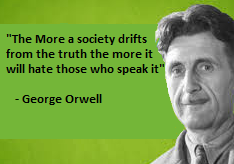 While this can be said of almost every age it is certainly true of our times. Last year was a momentous year for both climate action but as the year came to a close the clouds of environmental doom began to coalesce in America auguring a darkness not seen since 1933. Despite the historic implementation of the Paris Climate Agreement and bold national leadership, 2016 will be remembered as the year that America voted for a climate denier whose incompetence is surpassed only by his coarse demeanor. However, there was more to the year than the election of Donald Trump. In reverse chronological order here are the 10 best climate and sustainability stories of 2016. One of the most important developments in 2016 was the move towards science-based emissions targets. This is essential if climate action is to succeed in keeping the Earth from warming more than the prescribed upper threshold limit of 2 C above preindustrial norms. Some businesses leaders led the charge by adopting science based emissions reduction targets in 2016. The key to marshaling a critical mass of support for climate action is the creation and dissemination of fact based climate focused narratives. While fake news is a serious issue there are also efforts underway to combat it. Research reveals that there is a science to storytelling that can help to make facts matter in our increasingly post factual world. Many are ready to combat the post-factual dystopia of the incoming US administration. In 2016 the Liberal government under Prime Minister Justin Trudeau was able to secure an historic pan-Canadian climate deal. The Federal Liberals put forward a climate and energy policy and they also introduced a national carbon pricing scheme. Other measures introduced by the federal government include the planned phasing out of coal by 2030 and the cancellation of the Northern Gateway Pipeline. Both federal and provincial initiatives are advancing the nation's renewable energy infrastructure. In January President Obama delivered a State of the Union speech which emphasized climate change In February Obama proposed an oil tax and clean energy infrastructure spending. Obama also signed a climate cooperation agreement with Canada and the two nations agreed to protect the Arctic. In April the President formalized his $3 billion pledge to the Green Climate Fund and in March Obama stymied offshore oil and gas drilling. At the end of the year the Obama administration imposed more restrictions on oil and gas drilling. Although he was rebuffed by Republicans, Obama nominated a centrist Supreme Court judge by the name of Merrick Garland. Obama reigned in methane emissions. The President found some clever ways of protecting the Paris Agreement. Under his presidency Obama oversaw the decoupling of growth and emissions. Obama delivered a powerful speech in support of democracy at the Democratic National Convention Obama also led an initiative that saw the leaders of North America strike a deal on climate and the environment. Big Changes took place in the energy sector in 2015 and 2016 started out very well for renewables. Market forces drove renewables and reports showed strong growth and positive forecasts. The REN21 GSR 2016 report corroborated this growth. Even more promising was the fact that this growth came at the expense of fossil fuels. A number of data points suggested that renewables will keep growing regardless of the price of oil. Renewables also appeared to decouple from the price of oil in 2016. A number of nations are leading the renewable energy revolution including Canada. Europe is proving that 100 percent renewables is possible. Businesses showed leadership with the help of tools and guidance and through the RE100 initiative many pledged to go 100 percent renewable. In 2016 solar became the cheapest form of energy on earth and we saw a number of innovations in solar. Advances in solar storage also helped to spur optimism. Last year we saw marked declines in fossil fuels as investors became increasingly concerned about the prospect of stranded assets. There was a growing momentum to address climate change by riding fossil fuels into the ground. Investments in renewables eclipsed fossil fuels. Market forces contributed to the demise of fossil fuels and revolutionized the energy industry. We saw how diminishing profits signaled the beginning of the end of oil. A number of pipelines fell by the wayside in 2016. Almost half of Canada's proposed tar sands pipelines were stymied. The Northern Gateway pipeline was killed by the Canadian government and the Energy East pipeline is as good as dead. The Dakota Access pipeline was halted proving that protest can kill pipelines. 2016 was a great year for green investors as SRI and Impact investing became a powerful vehicle to combat climate change. Investor interest in sustainability was confirmed by a number of studies including in the United States. Fossil fuels came under scrutiny as investors worried about the risks of stranded assets. The declining price of oil made fossil fuels a high risk and as such a bad investment. There was more investment in renewables than there was in fossil fuels in 2016 as investors were drawn to the return potential associated with low carbon investments. More money was being invested in renewables than ever before including in the developing world. In 2016 we saw just how important it is to have an informed electorate. With this in mind a number of articles demonstrate the growth of the green schools movement, best practices and what sustainability professionals need to learn. Early education initiatives, new tools and resources indicate that this important movement continued to grow in 2017. There are a growing number of companies that have been singled out for their sustainability initiatives. 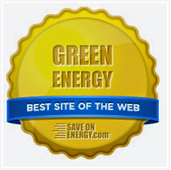 This green leadership includes products, projects, corporations, CEOs and chemistry. 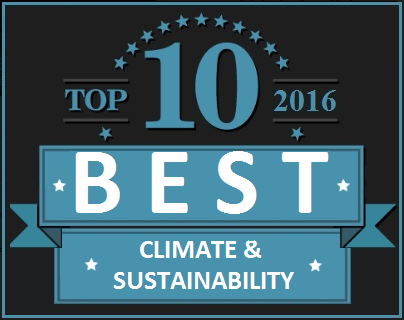 As evinced by the 2016 corporate sustainability leaders and green business award winners, 2016 was a great year for sustainability. Some of the notable standouts include Tesla, Glaxo­SmithKline, Apple and Patagonia. Patagonia is a company that has been at the forefront of sustainability in the apparel industry. They have incorporated sustainability into their DNA in a way that makes them a true leader. They have championed toxic substances reform and urged President-Elect Trump to respect the Paris Agreement. Another leading sustainability focused corporation is Apple. While the company's growth streak may have ended, their sustainability leadership continued. The company adopted science based emission-reduction targets and doubled down on renewables and recycling. They are also behind one of the greenest mobile phones in the marketplace. Sustainability continued to gain ground in 2016. In the wake of COP 21 a growing number of businesses began to explore the implications of the Paris Agreement. Corporations are embracing sustainability in unprecedented numbers. This was driven by the understanding that businesses are thriving with sustainability and risk dying without it. A number of studies conclusively demonstrate the ROI of sustainability. In the last couple of years sustainability has reached a tipping point and become a mainstream phenomenon. 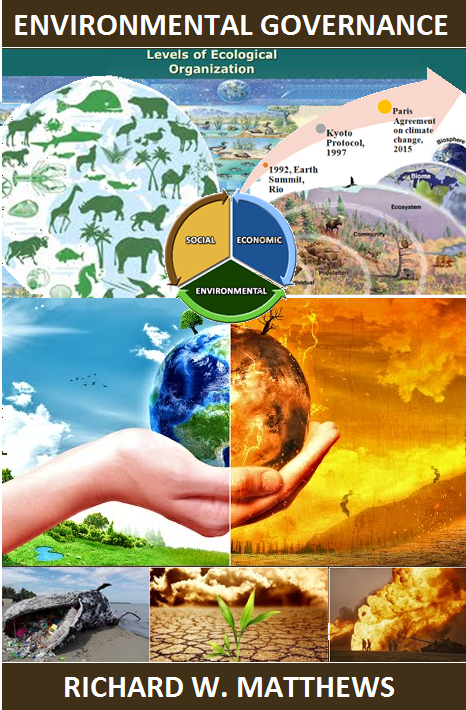 People even began to envision a post sustainability world. This has given rise to increasing power in the hands of the CSO. Businesses paid attention to the Paris Climate Agreement and began adopting science-based emissions reduction targets. Corporations increased their involvement sustainability focused innovation, life cycle assessment and transparency. They explored the value of constructive disagreement and the ways that they can work with millennials for social and environmental change. More interest was show in understanding exactly what sustainability entails and we saw increasingly sophisticated science-based efforts to communicate and market sustainability. Businesses are increasingly drawing upon big data to get a handle on their sustainability efforts. Approaches to advancing sustainability were put forward including engaging boards of directors. One of the highest profile advances in sustainability took the form of a new GRI reporting initiative. There were a host of optimistic predictions after the successful conclusion of COP21. In 2016 countries around the world ratified the Paris Climate Agreement. Then after surpassing a critical threshold the deal was implemented. In April there was an Earth Day signing ceremony, then the US China and others ratified the agreement. In May nations came together in Bonn to discuss the details and in October the Agreement came into force. Some of the highlights related to the deal included the response from the business community and President Obama's creative efforts to protect the agreement from Republicans. After the election of Donald Trump in November, heads of state, climate scientists and business leaders all warned the President-Elect not to cancel the Paris Agreement.